Woman : Do you feel good? nán ： hěn hǎo . xiè xiè ! Man : Very well. Thanks! 王 兰 ： 我 们 都 很 好 。 您 身 体 好 吗 ? WangLan : We are fine. How about you? Teacher : Me too. Goodbye! “早“, which means “Good morning!”. It is an everyday greeting used only when people meet each other in the morning. “您” is the respective form of “你“. 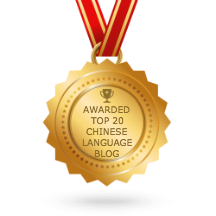 It is a respectful form of the second person pronoun “你“. It is normally reserved for old people or elders. To show politeness, one may extend its use to his peers, especially when meeting them for the first time. Hi, Min Min. For the Chinese words above in blue colour, I think that it might be better to not underlined as a horizontal line is also one of the Chinese strokes. You are right. If there is a horizontal line below the character, “干” will become “王”. I will try not to underline links for all the Chinese characters. accent? Whoever it is, she speaks pretty good English?